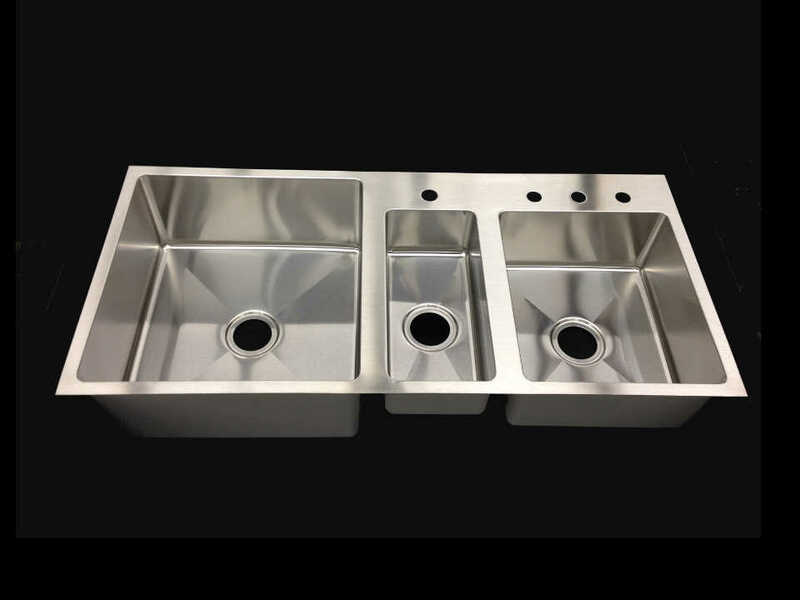 We fabricate custom stainless steel countertops with built in kitchen sinks, as well as a variety of free standing stainless steel sinks. 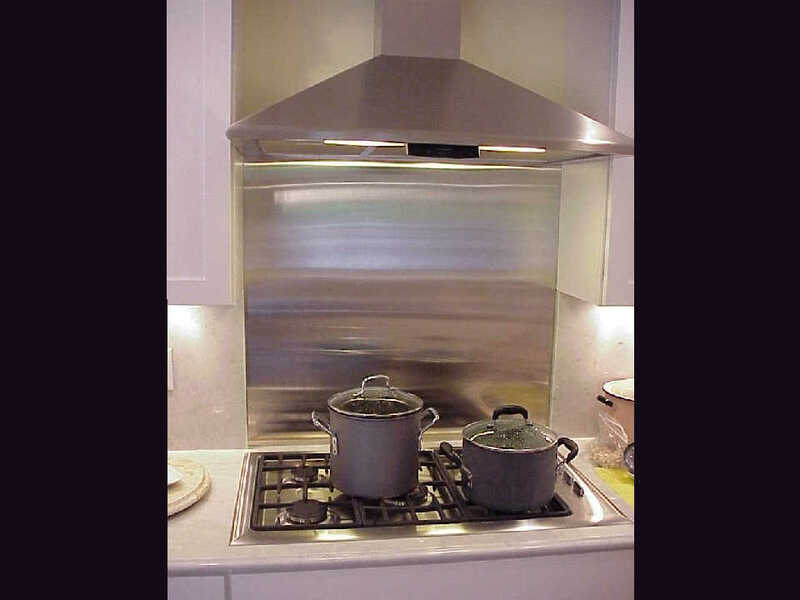 We also manufacture stainless cabinets for your home, office, or outdoor kitchen and stainless steel wall splashes. 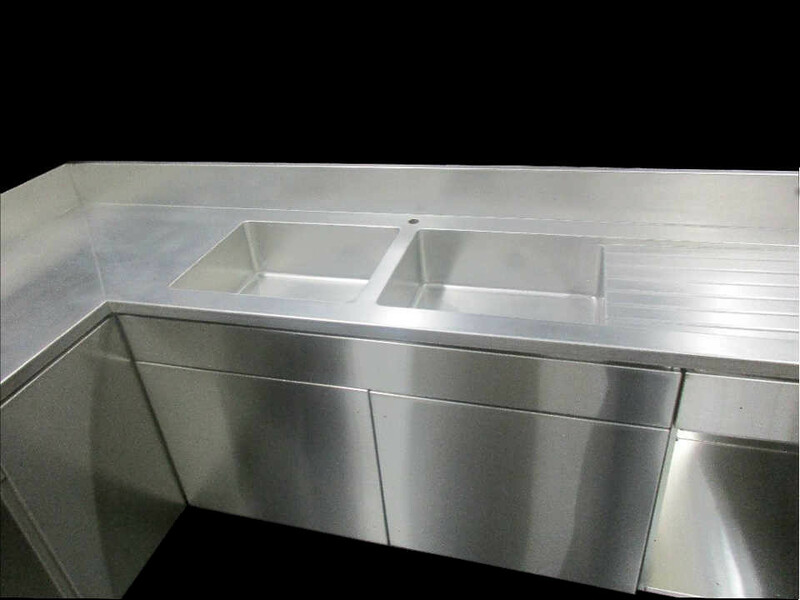 Our stainless steel counters are available in an unlimited variety of custom sizes, shapes, and configurations. L-shapes, U-Shapes, Straights, Islands. 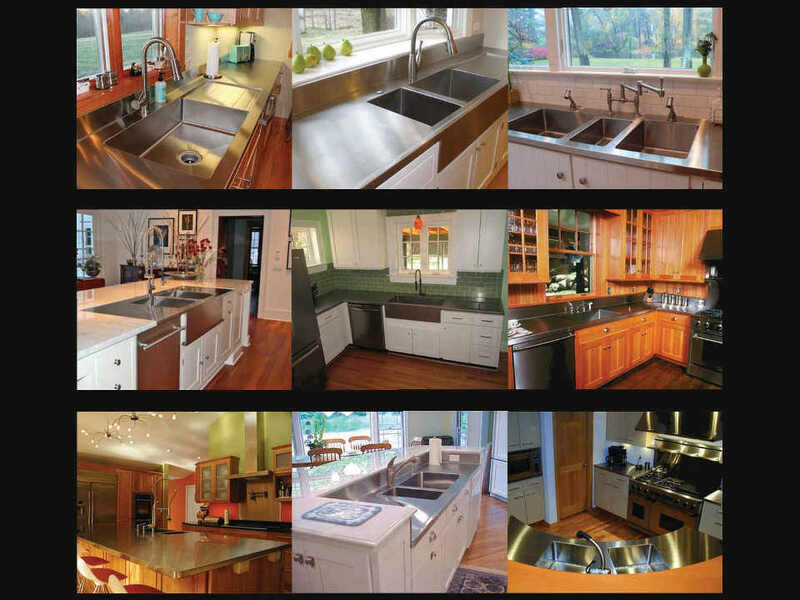 We offer built-in stainless steel kitchen sinks, seamless stainless backsplashes, dish boards, aprons fronts. Profiles include straight, marine, bullnose, raised v edges. 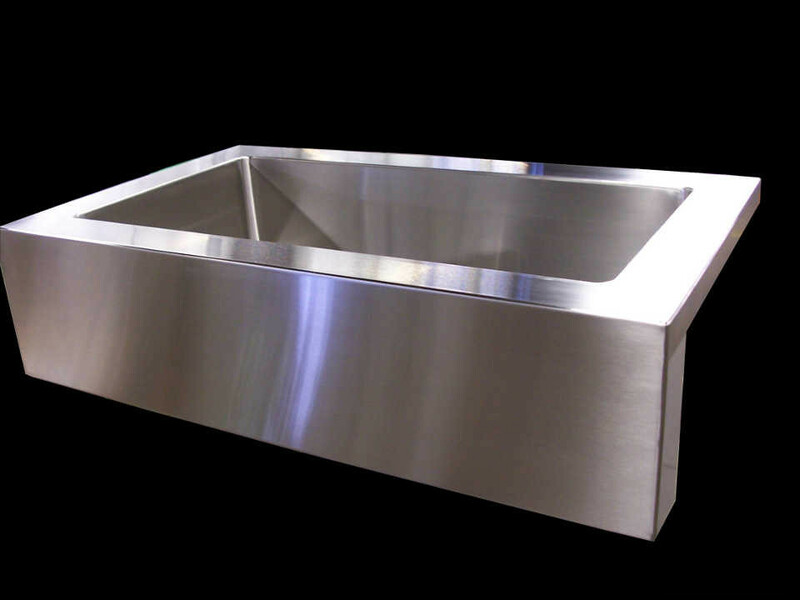 We fabricate an assortment of custom stainless steel kitchen sinks. All dimensions may be modified - Length, width and sink depth. 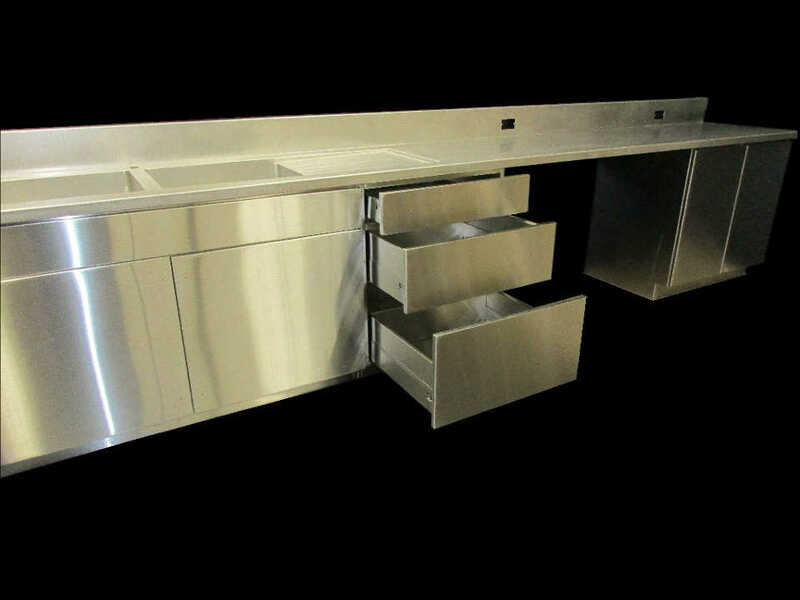 Pure stainless steel cabinets are available in our exclusive European design. For both indoor and outdoor kitchens. Lower base cabinets and uppers in any size. Available with self closing doors, adjustable shelves, soft closing drawers. 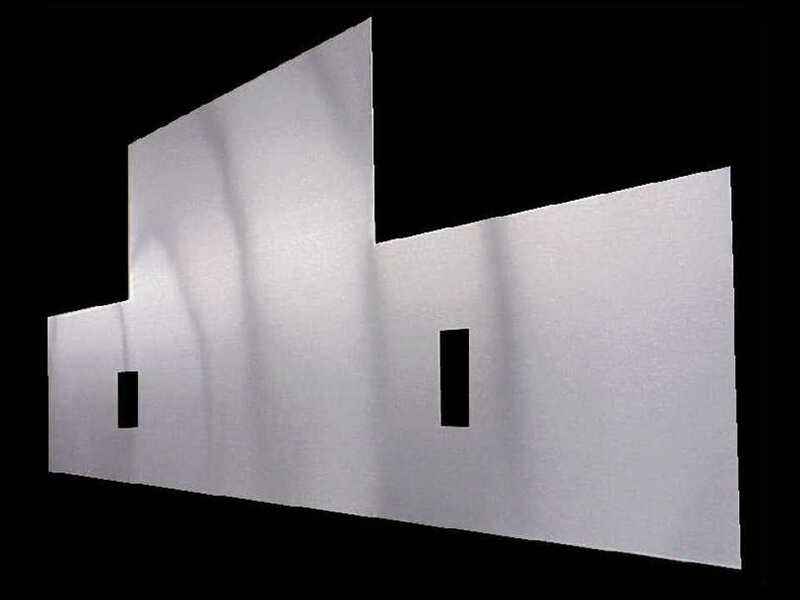 Stainless steel wall splashes also called wall panels can be manufactured to your exact size requirements. We can can create any shape and add cut-outs for outlets or other needs. 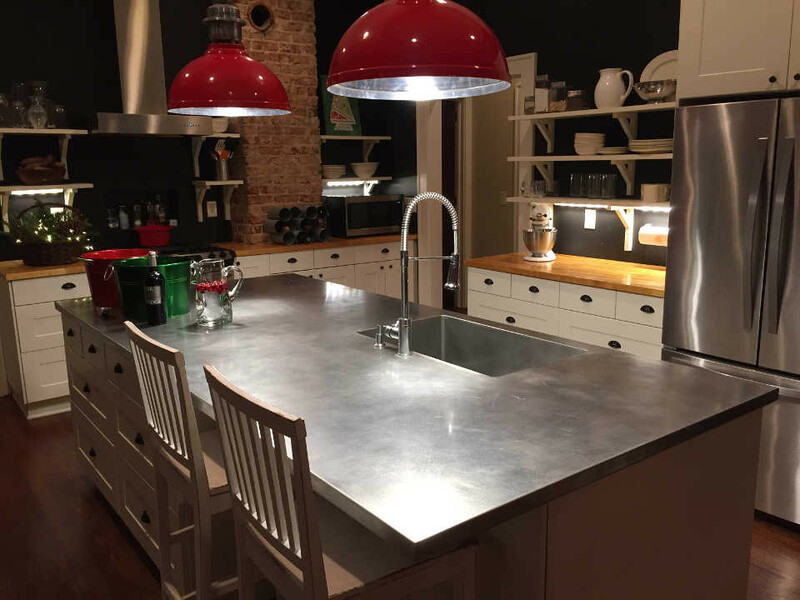 On stainless steel countertops please visit our sister site: You will find more highlights of our craftsmanship and be able to get a no obligation estimate. ©1998-2018 Eskay Metal Fabricating. All Rights Reserved.